DAYTONA BEACH, Fla. – In a surprise announcement, crew chief Steve Letarte, who has been leading Dale Earnhardt Jr.’s team at Hendrick Motorsports, is leaving pit road to be a TV analyst for NBC, beginning with the 2015 season when the network returns to the sport. Letarte will join driver Jeff Burton and announcer Rick Allen on the NBC broadcast team. 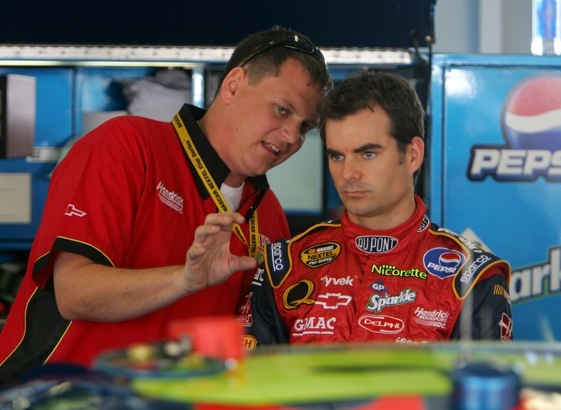 Jeff Gordon, who has worked with Letarte in the past, said he believes is ex-crew chief will be a good broadcaster. Gordon said he believes Earnhardt will be able to run well this season and next despite the distractions that come with a big change. Letarte’s current boss Rick Hendrick said in a release that he wishes Letarte well. The statement indicated that Hendrick wouldn’t address the vacant crew chief position until after the season.